The mascot and the band need to play too. To explain his actions, “James Franklin” was on College GameDay in Times Square to talk about the move and respond to Francesa’s comments. “Franklin” was on point compared to his comments earlier this week in saying that he didn’t have the right personnel out there. But “Franklin” expanded upon those comments and explained that he just wanted to give everyone a chance to play. And “everyone” included some people who weren’t usually playing football. Oh man, that’s hilarious. 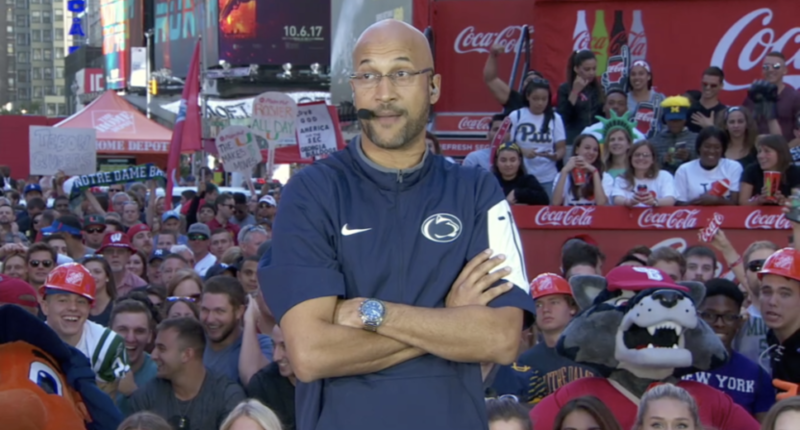 No, that’s obviously not James Franklin but Penn State alum Keegan-Michael Key impersonating Franklin. He had the GameDay crew and the crowd laughing with his spot-on impression. Key saw the sense of humor in the situation and really just needed to give band members and the mascot some playing time. I mean, it’s no Rudy but it’s still a nice gesture.